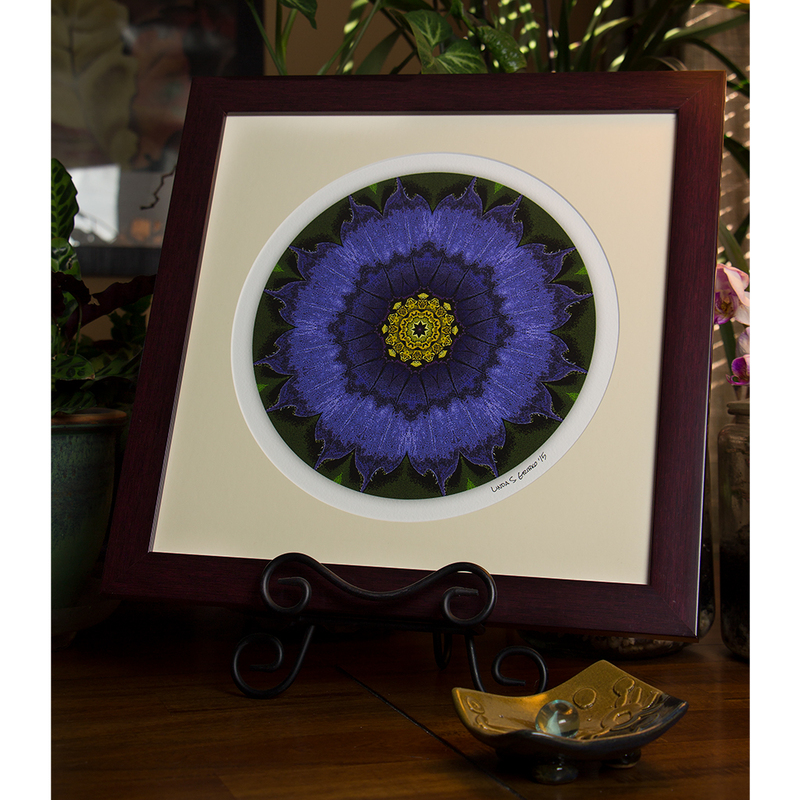 I have many pieces framed up and available to ship immediately. 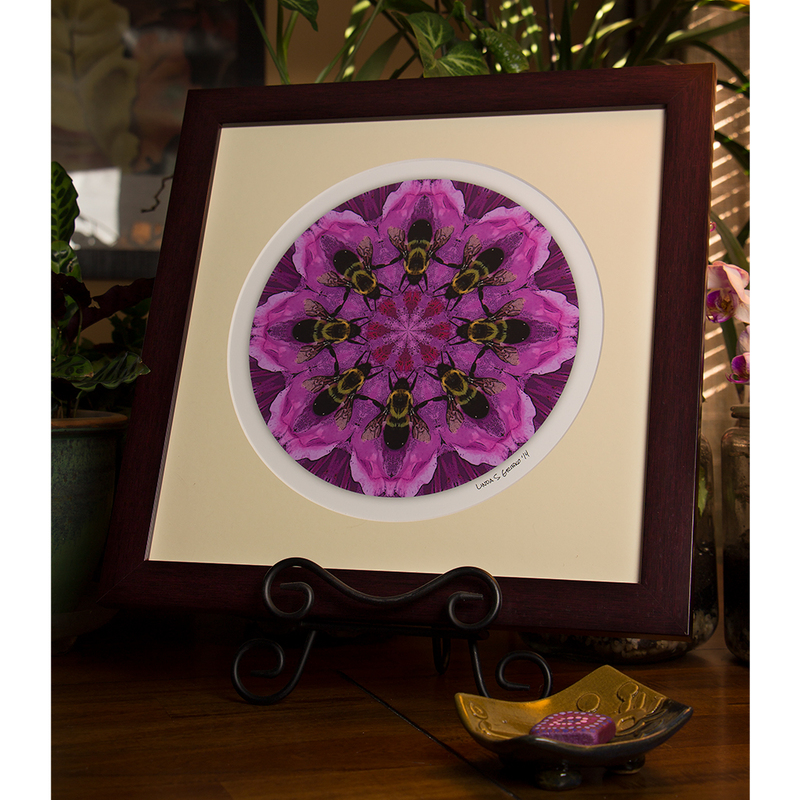 All are printed on beautiful watercolor paper and are conservation framed using acid-free materials. 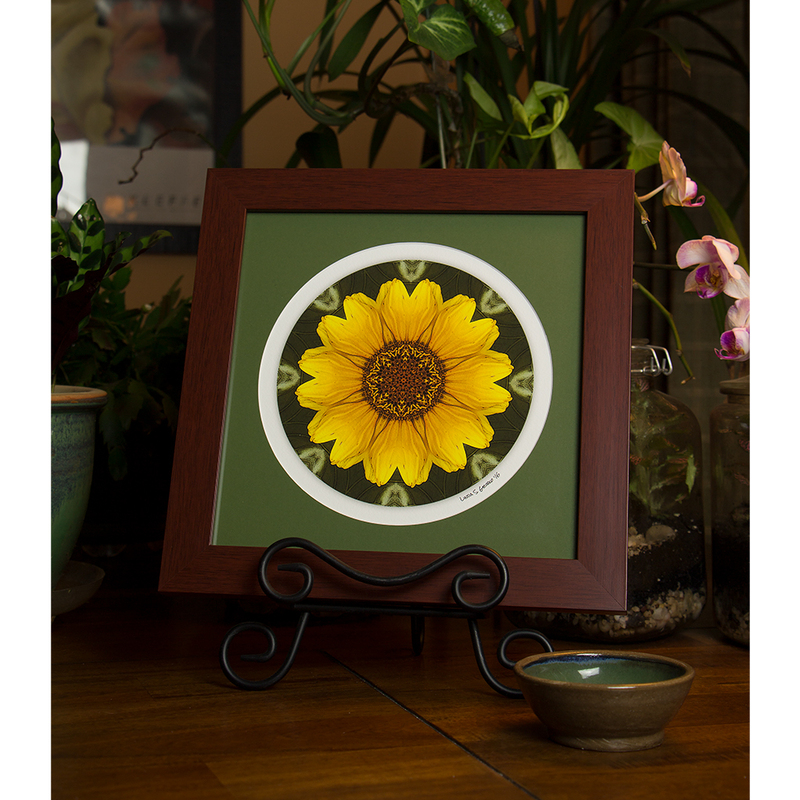 Each piece is glazed with UV acrylic to protect your art from sunlight. 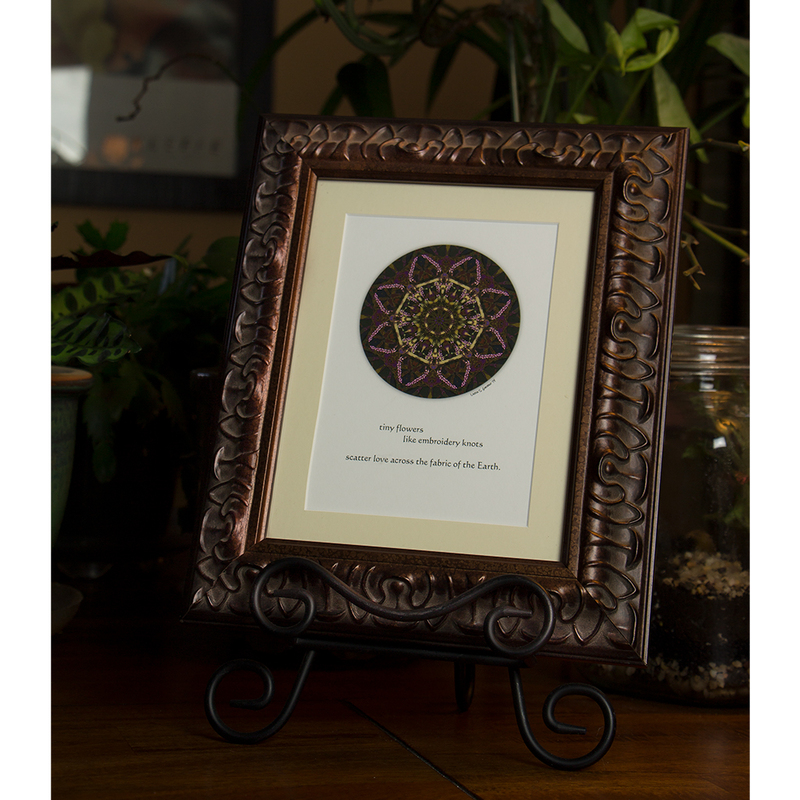 Frames are of gallery quality with beautifully mitered corners. 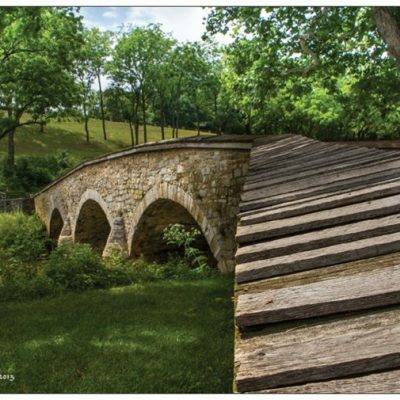 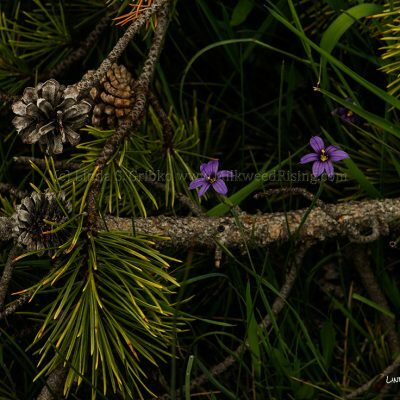 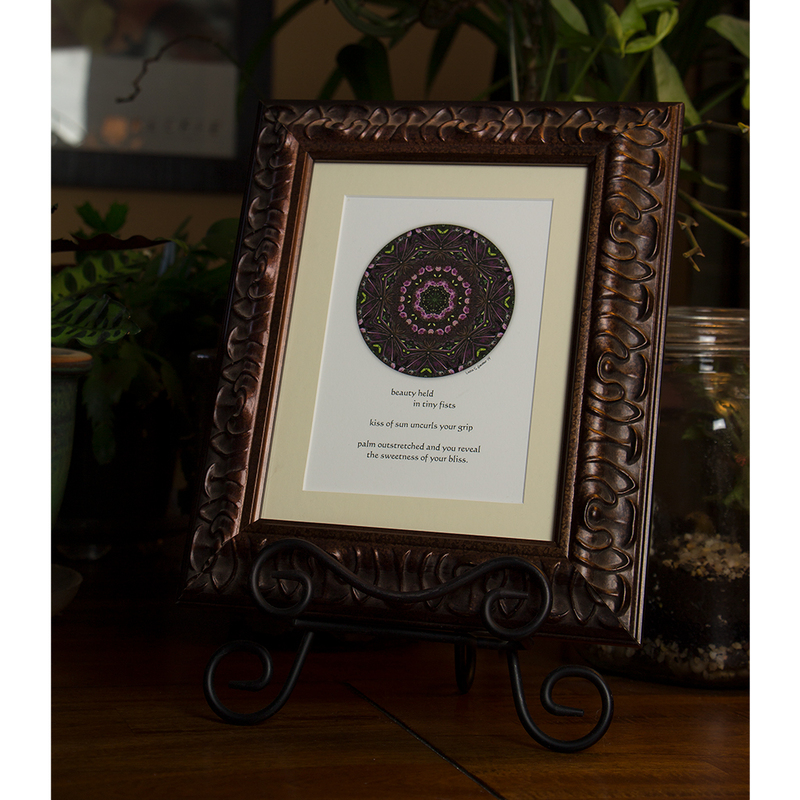 An artist statement describing my inspiration and process is included on the back of each piece with a small copy of the original photograph I used to create it. 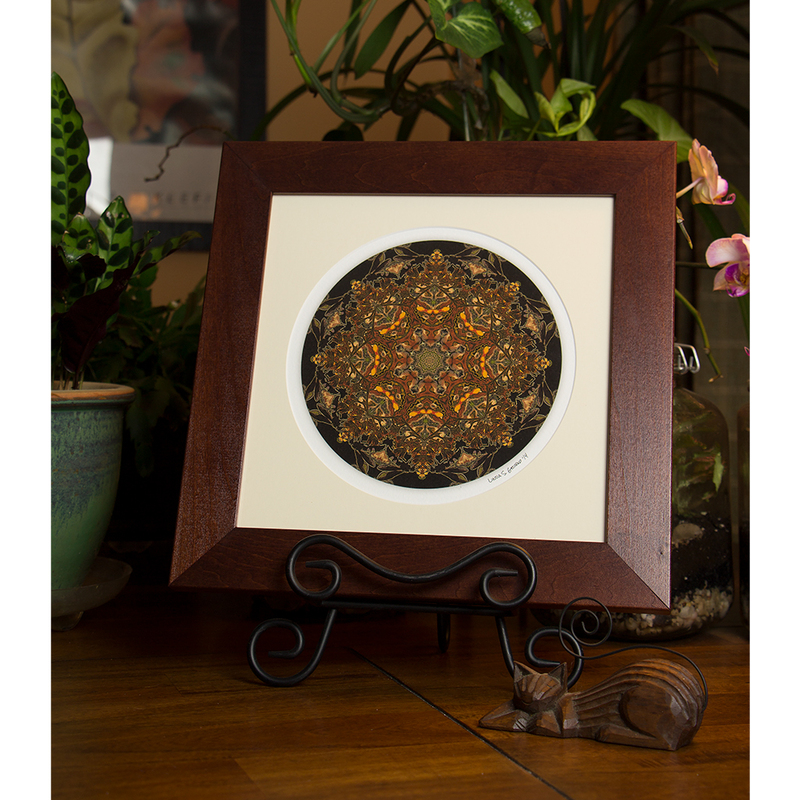 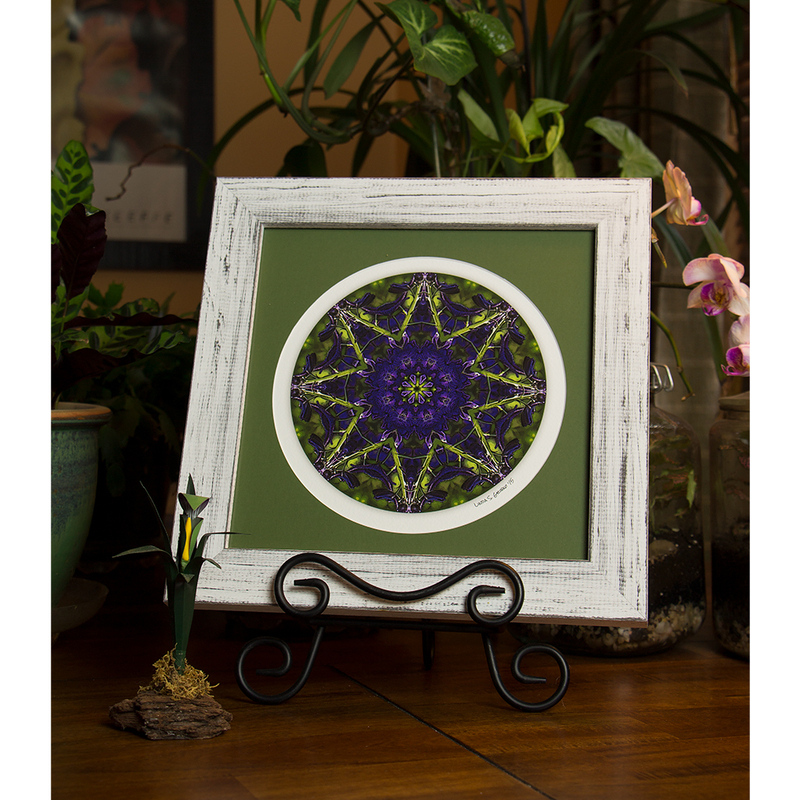 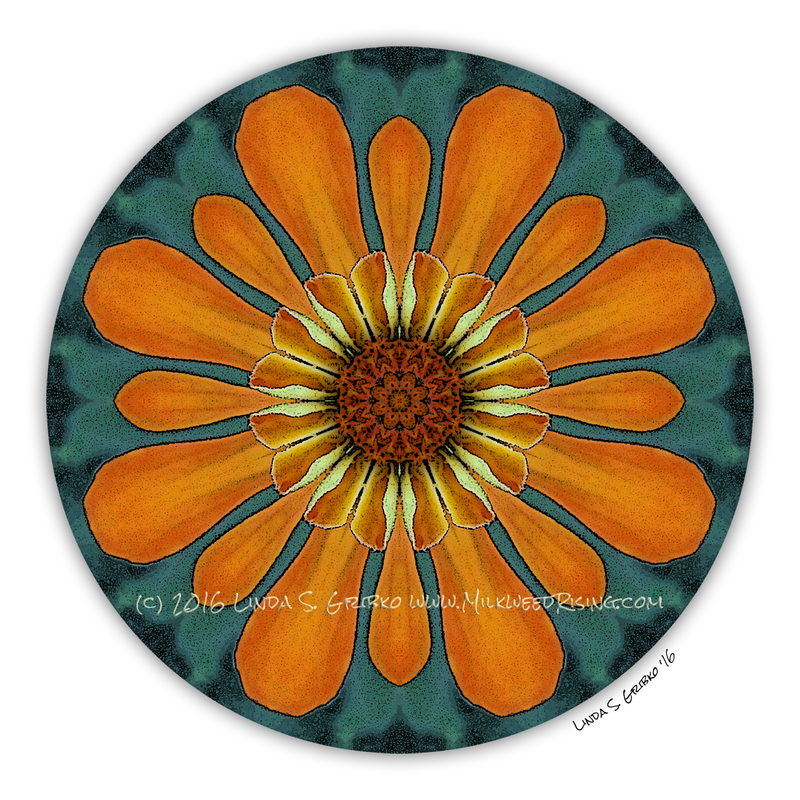 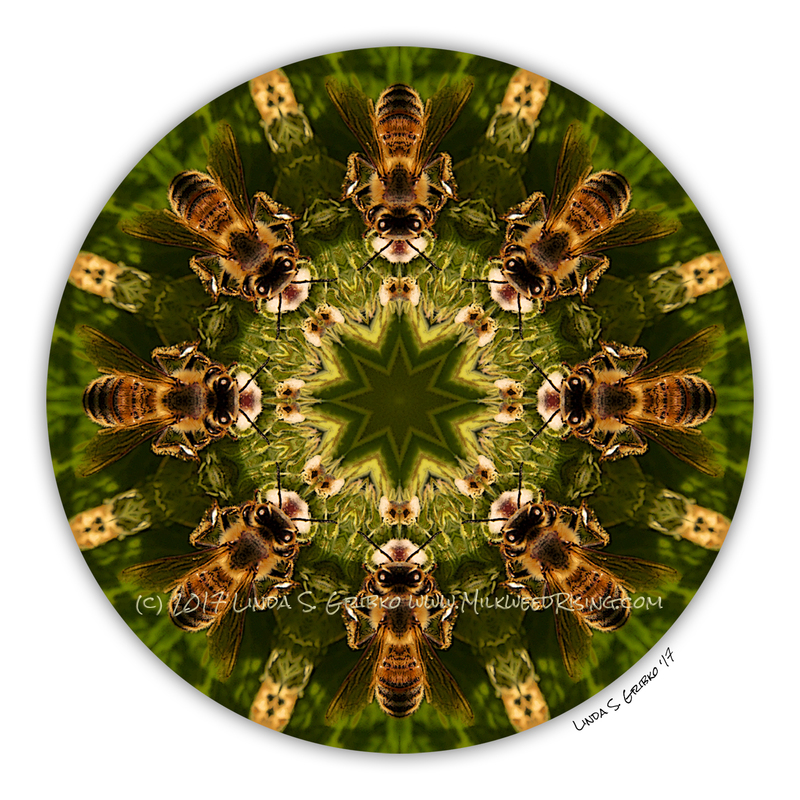 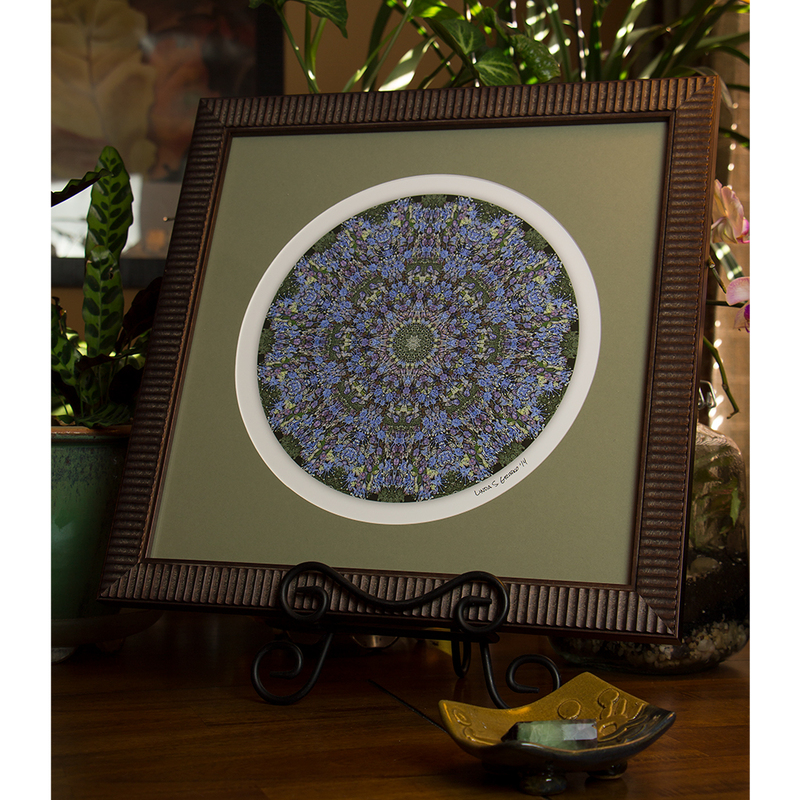 If you see a mandala in my gallery that you’d like custom framed, please contact me. 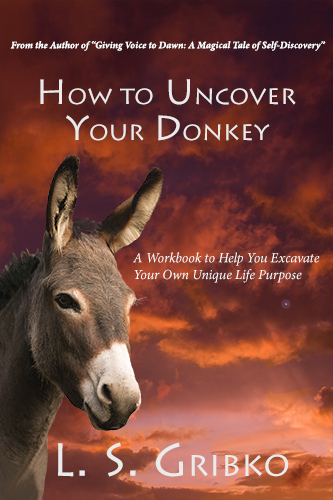 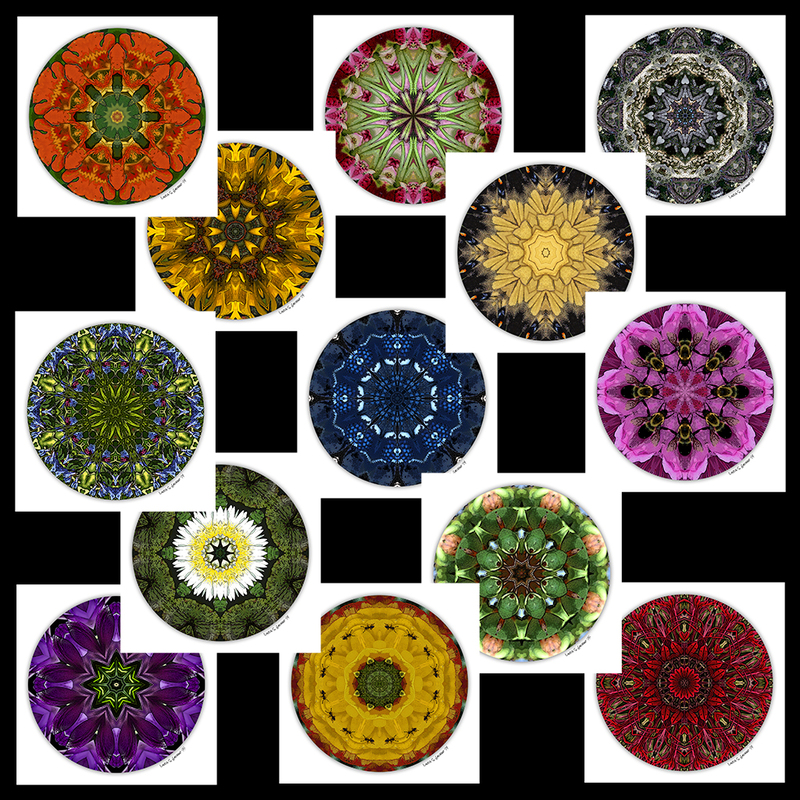 I can usually accommodate custom orders. 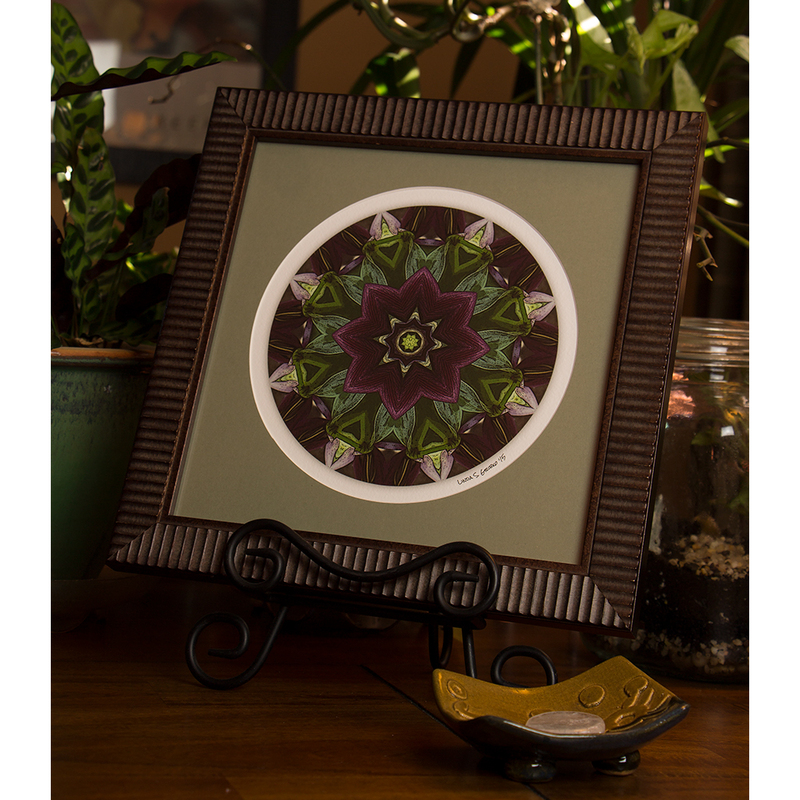 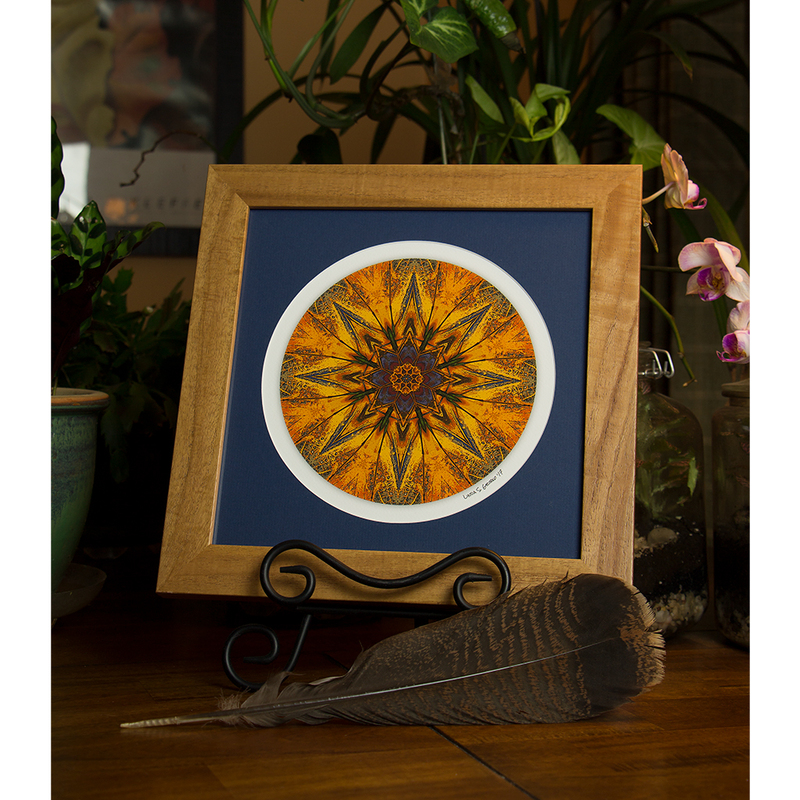 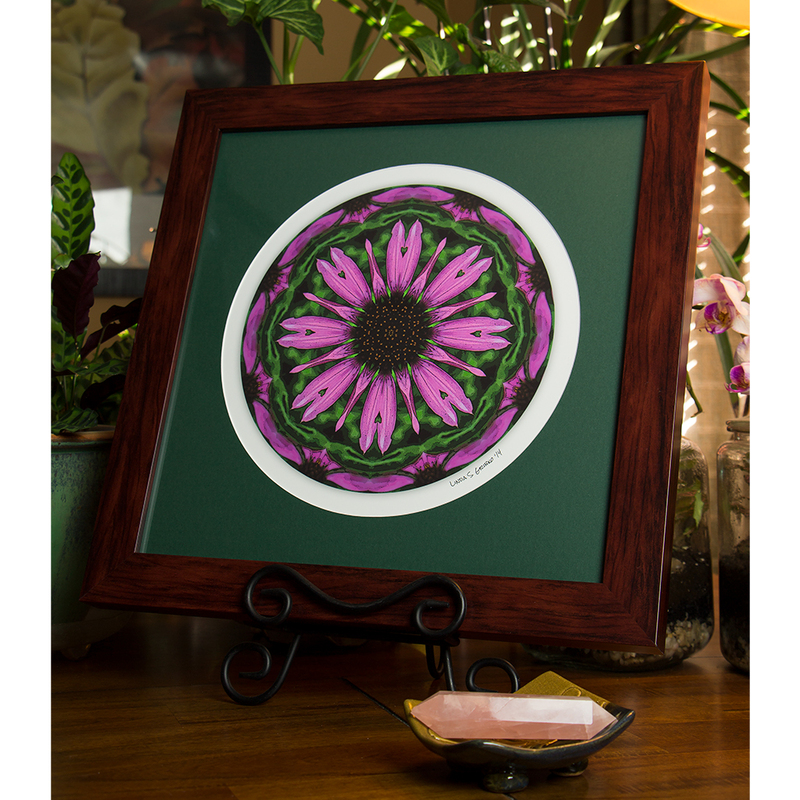 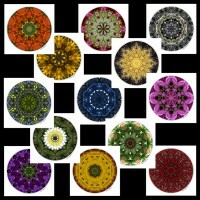 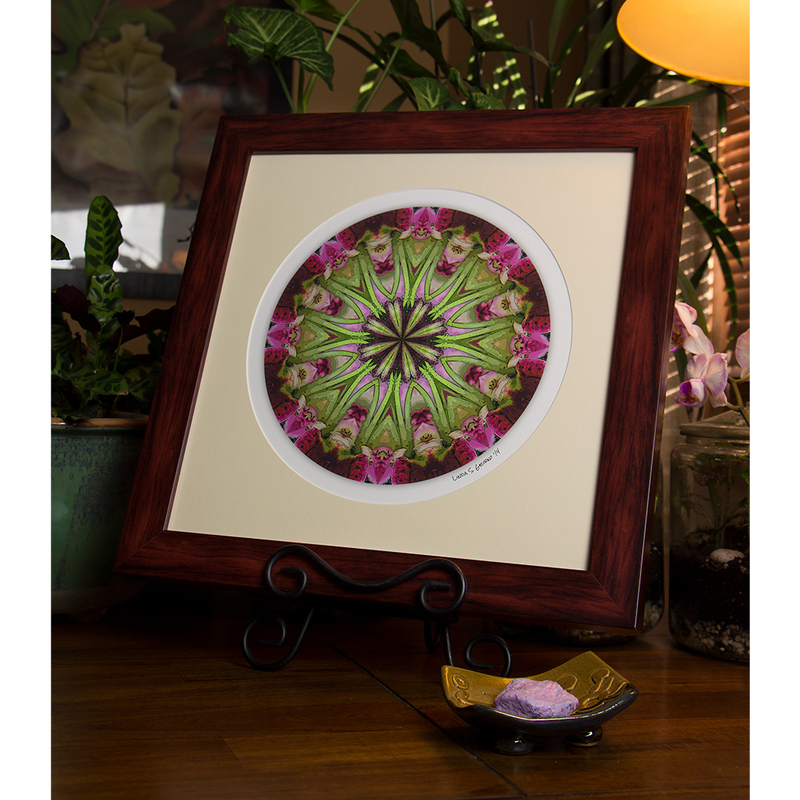 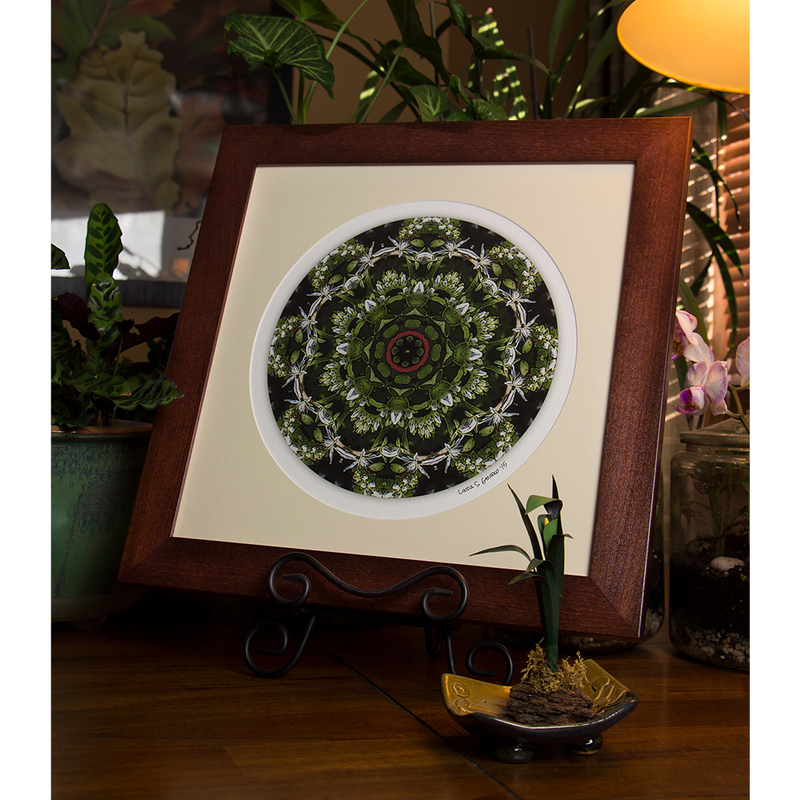 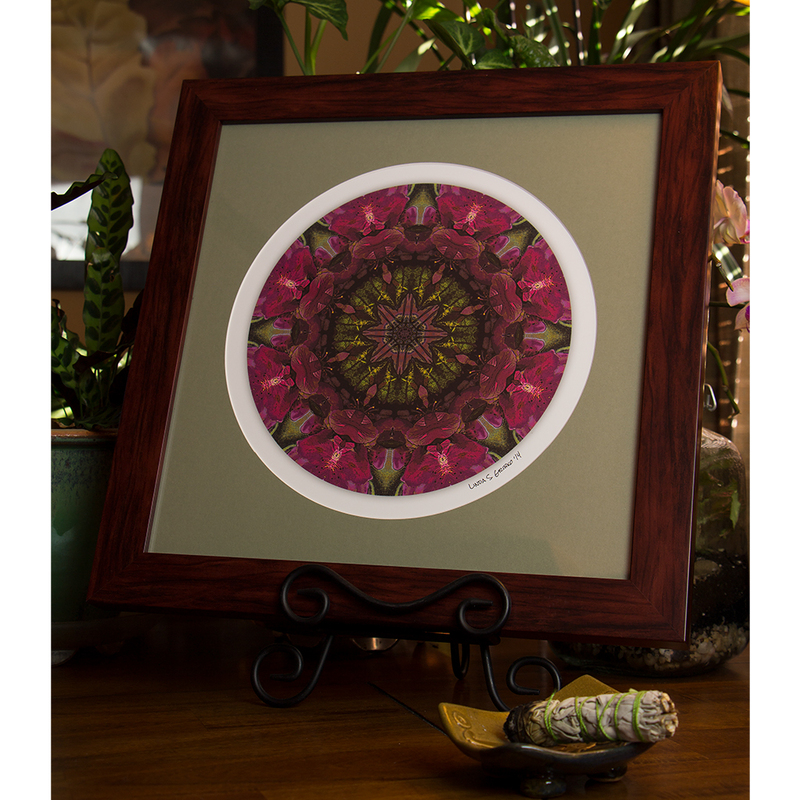 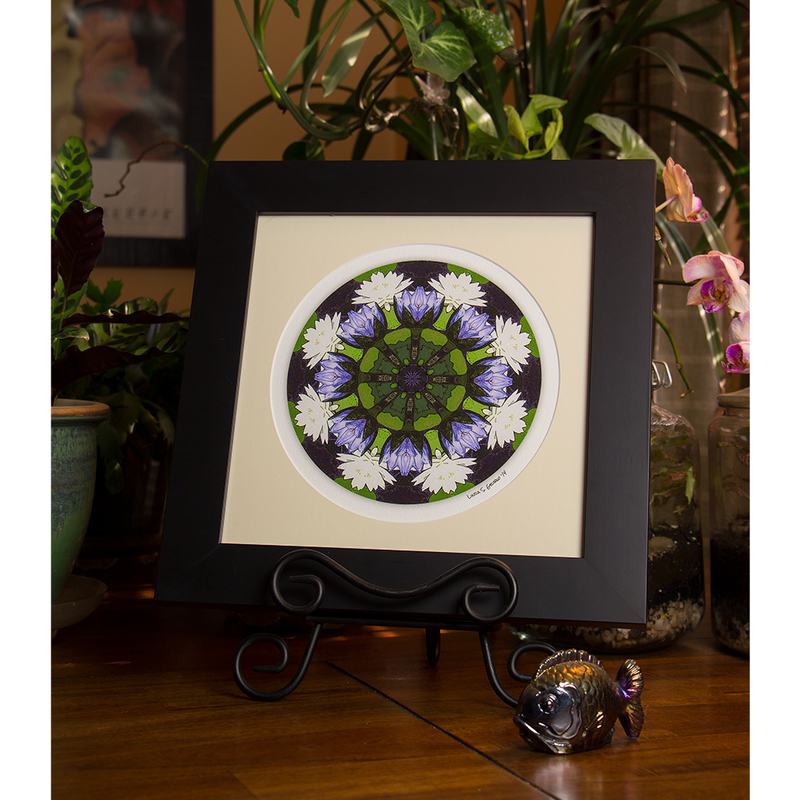 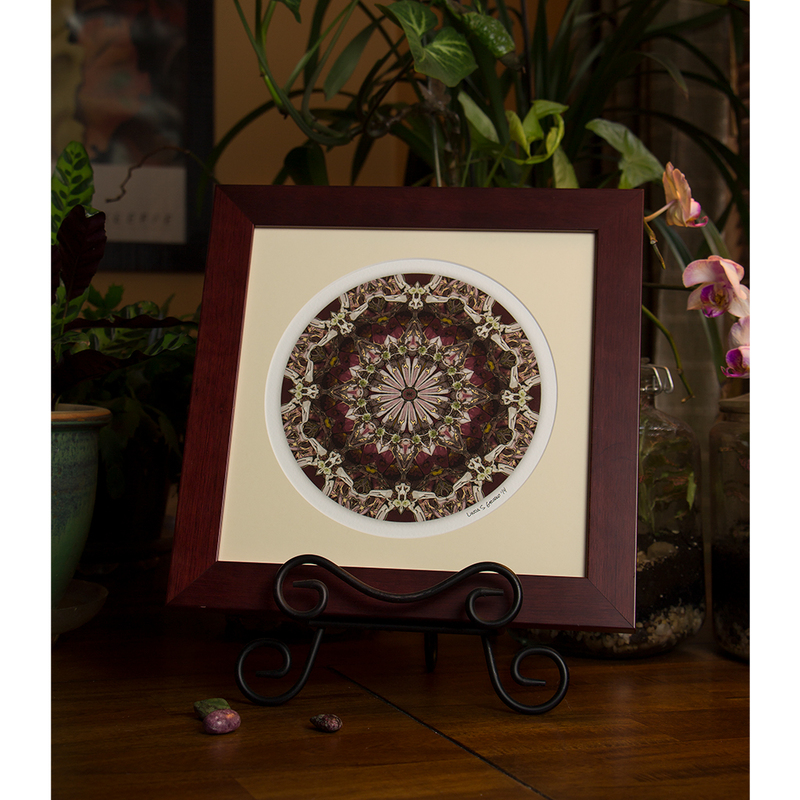 I have a large collection of mandala prints available on watercolor paper. 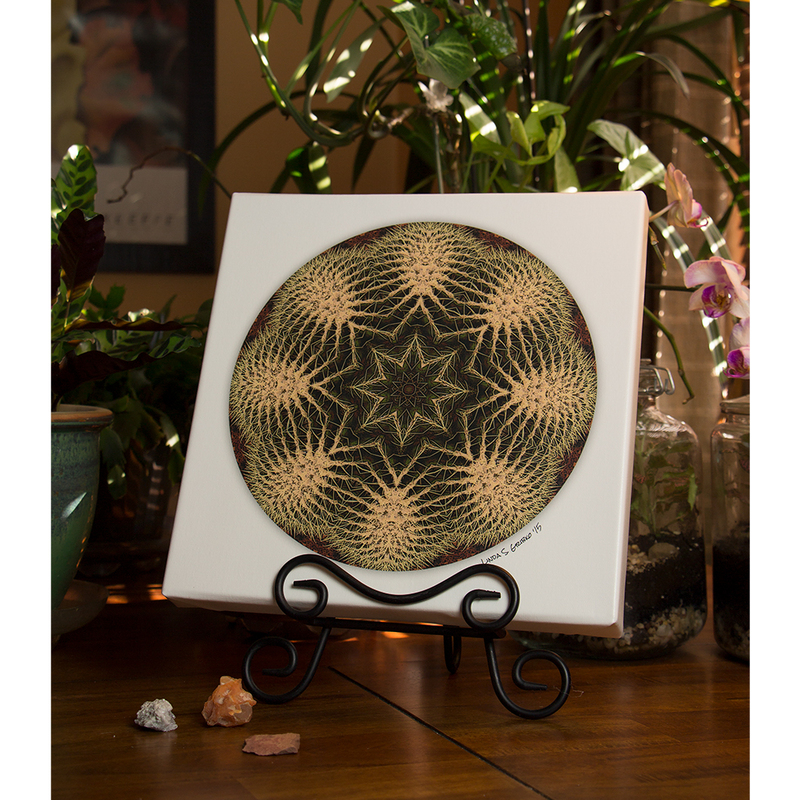 Each is packaged loose in a protective sleeve on backer board and comes with a round-cut mat. 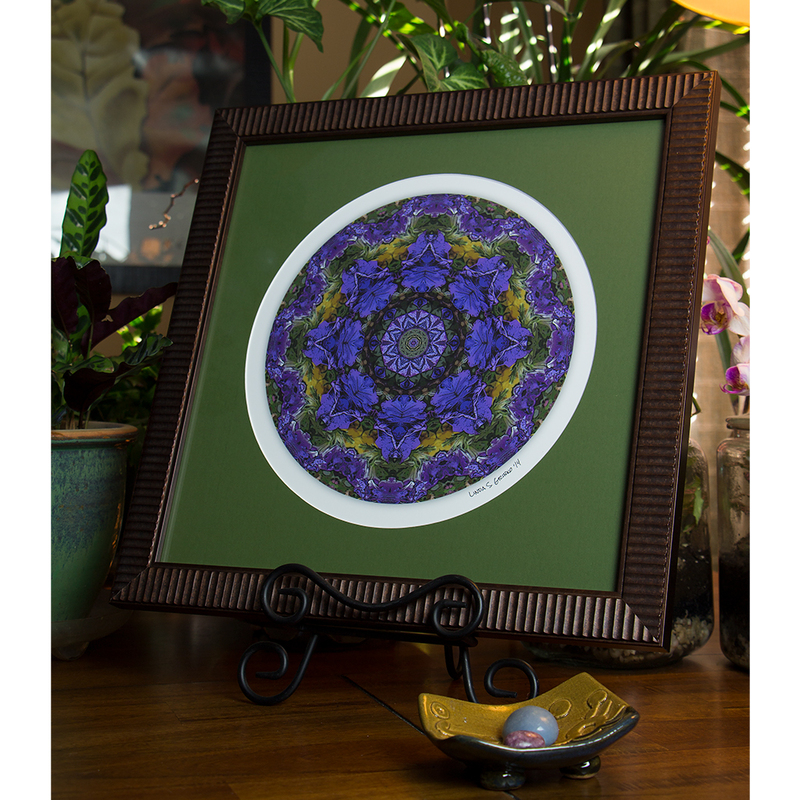 I don’t mount my prints, which allows you the option of choosing a different mat color when you have your piece framed. 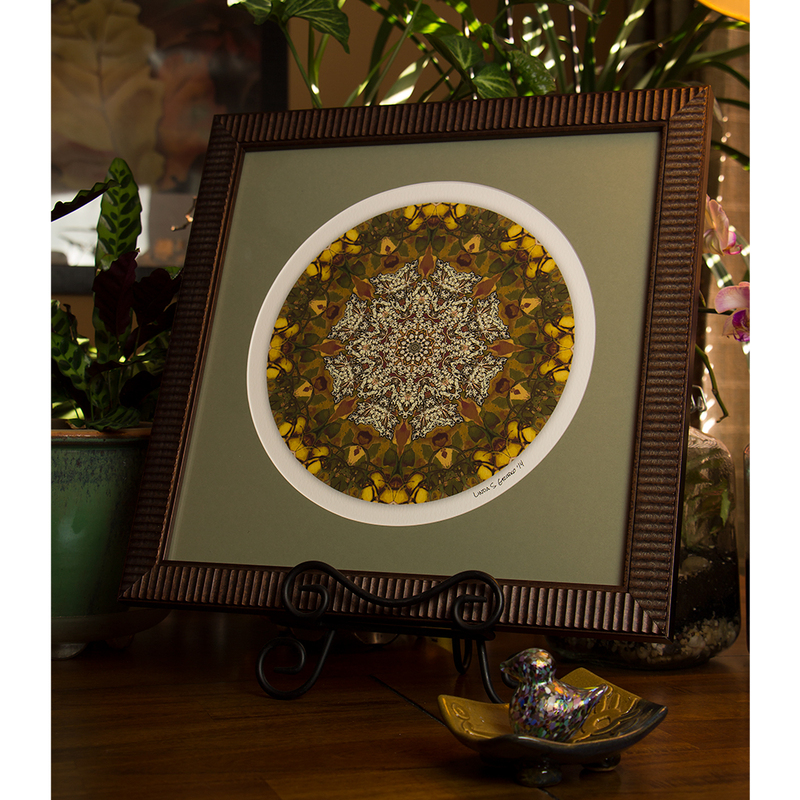 Most of my mats are a nice warm buff color. 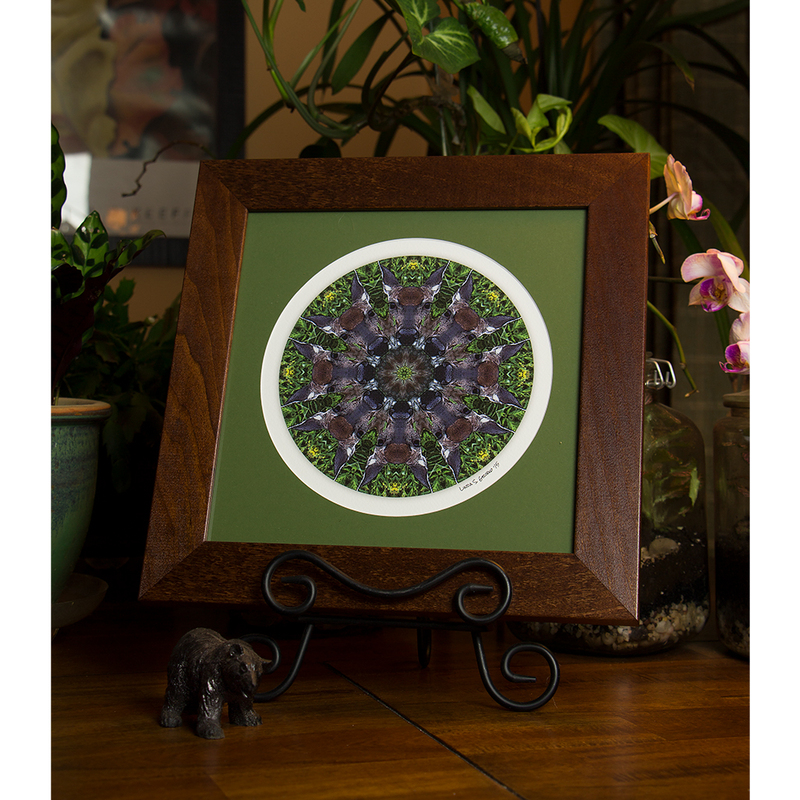 I’m sorry that I’m not able to offer custom matting options— your local frame shop will be able to help you with a wide variety of additional color options. 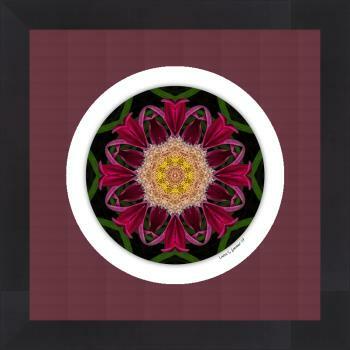 If you see a piece in my gallery that you’d like printed, but I don’t have it listed in the shop, please contact me for custom printing options.